A great space saving solution and perfect for guests staying overnight. Our Sofa beds use a simple lever pull system to release or unfold the mattress to create a comfortable double sleeping area. Designed in a range of colours and styles and available for next day home delivery if required. Turn your living space into a bedroom with ease! Trying to get the most out of your bedsit, studio or spare bedroom? Then a sofa bed is a perfect solution for you. Sofa beds allow you to free up space which would otherwise be taken up by a regular double bedstead. Basically, these beds are fantastic space savers and should be utilised as and when possible because ultimately, you can’t have a bed in your living room. 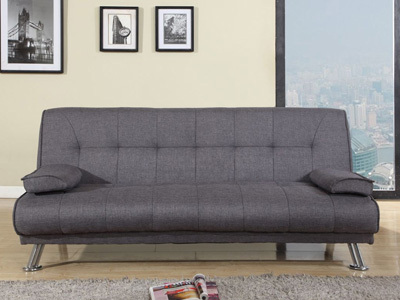 For those who live in a bedsit a sofa bed is the perfect combination between lounging and sleeping space. Throughout the day you can have guests over and at night you can pull out and extend the bed, creating a comfortable sleeping experience. 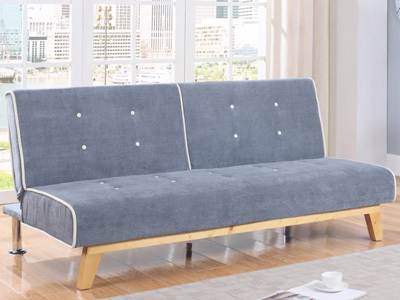 The ultimate debate for the bedsit dweller – futon, or sofa bed? Sofa beds look more like general settees that you would find in a living room and are generally more comfortable than a regular futon bed. Sofa beds are generally larger as well, and are more apt for couples sharing. Futons, on the other hand, are cheaper, stand out more as a piece of bed furniture and are generally acceptable for one person. 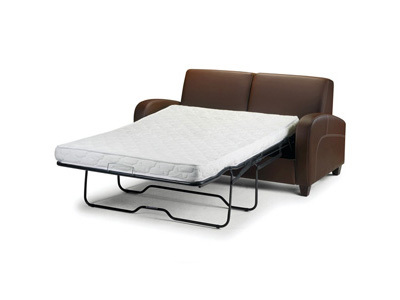 Double futons are available of course, but a larger futon can negatively impact comfort. 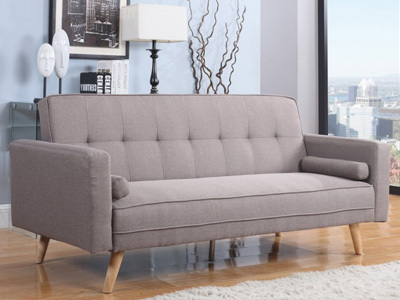 Of course, the sofa bed you choose is completely down to the style of your room. 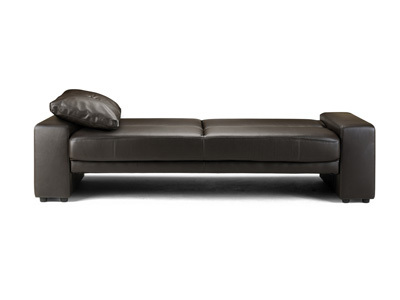 Ultimately, sofa beds are made to look like sofas, while futons are uniquely designed in their own right. Bear this in mind when purchasing furniture for your living room – there is nothing worse than a large piece of furniture not matching your style. 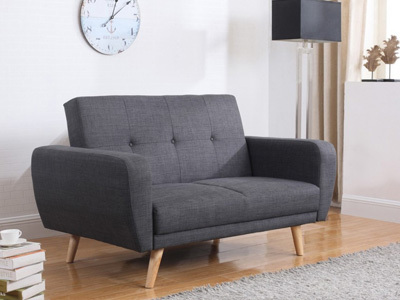 Whether you’re looking to add a taste of luxury with a gorgeous leather sofa bed, or a modern fabric sofa bed, here at bedstar.co.uk we’ve got a wide range of awesome sofa beds. Each come with an integrated mattress, which is simple and easy to pull out from the bottom. Futons come with a slide out base which allows the user to slide the plush mattress outwards, transforming your sofa into a bed. Either way, they’re simple and easy to use. 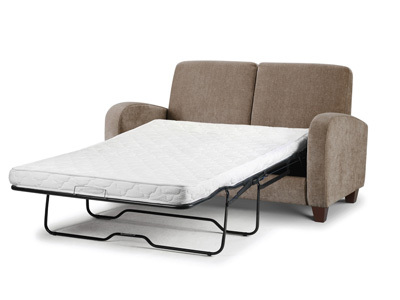 For next day delivery on all sofa beds choose Bedstar and don’t disappoint those spur of the moment guests. Our white glove delivery service will have your brand new bed delivered within 24 hours which means no waiting around all excited. Similar to day beds, sofa beds come in a variety of sizes, with the majority sliding into a regular double bed. Get more space out of your home this year by taking advantage of our exquisite range of sofa beds.